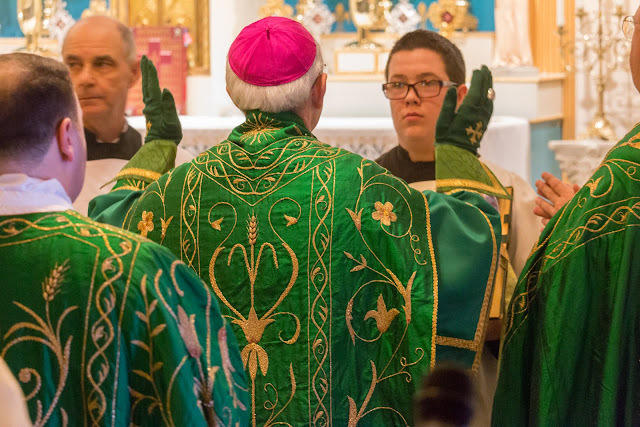 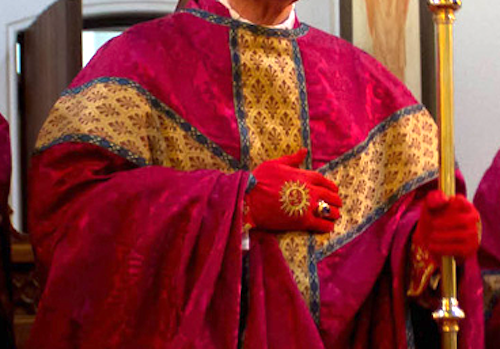 Continuing on with our consideration of the traditional pontifical vestments of the Latin rite, we last considered pontifical sandalia (sandals) and I would now like to turn your attention to pontifical gloves -- or what are called chirothecae in the rubrics. This particular ornament is, like the pontifical sandals, reserved to prelates; typically this would mean those with episcopal orders but, by special privilege, some other lesser prelates such as canons or abbots as well may use them. 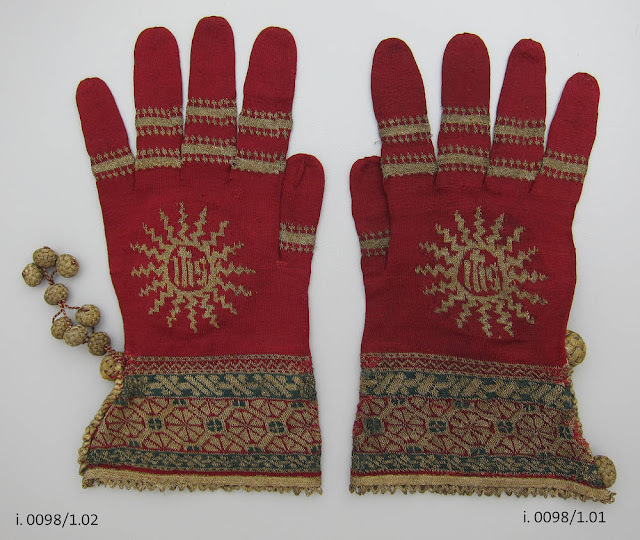 The pontifical gloves are made of silk, and variously ornamented according to the solemnity of the occasion and the wearers rank and dignity. 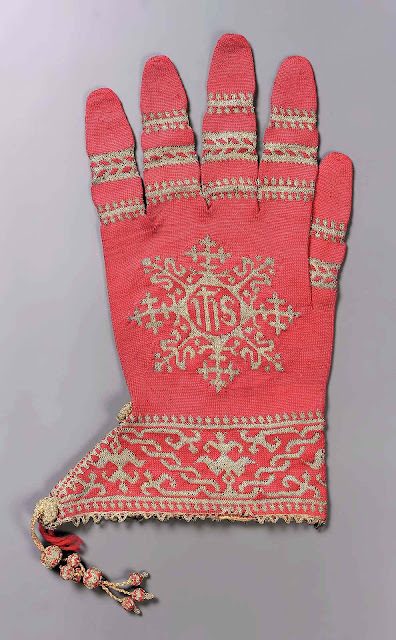 For Cardinals, Prelates invested with the episcopal character and Abbots, the back of the glove is embroidered with a more or less elaborate cross or monogram; and the Protonotaries Apostolic of the first two classes (di numero and supernumerary) may wear pontifical gloves of silk bordered with a strip of gold braid; but for all other Protonotaries, Prelates and Canons, who may be allowed, by law or privilege, the use of the pontificals, the gloves must be of plain silk without any special ornament. 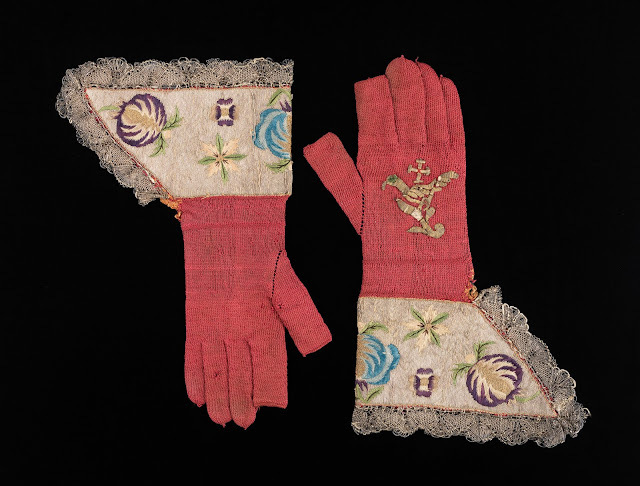 Writing in the Catholic Encyclopedia, the estimable paramentologist, Joseph Braun, suggests that the origins of episcopal gloves is thought to have been France, becoming customary in Rome sometime around the tenth century -- but earlier outside of Rome. 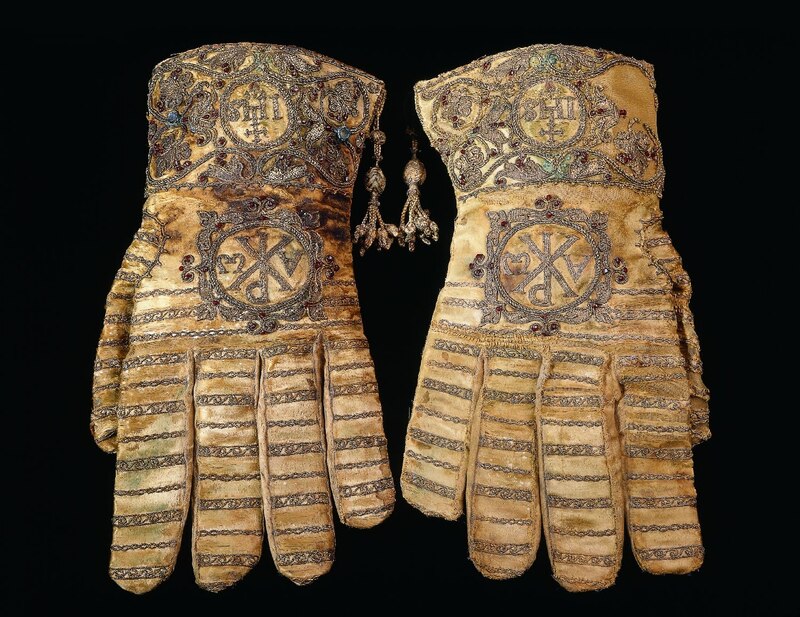 It is thought that "the chief reason for the introduction of the usage was probably the desire to provide a suitable adornment for the hands of the bishop, rather than practical considerations such as the preservation of the cleanliness of the hands." 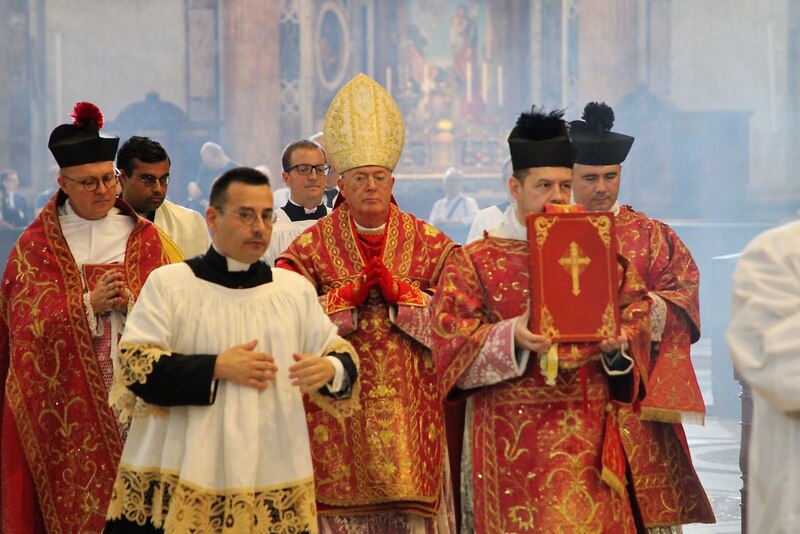 In this regard then, these are entirely founded in the desire to ornament the pontifical liturgical rites. 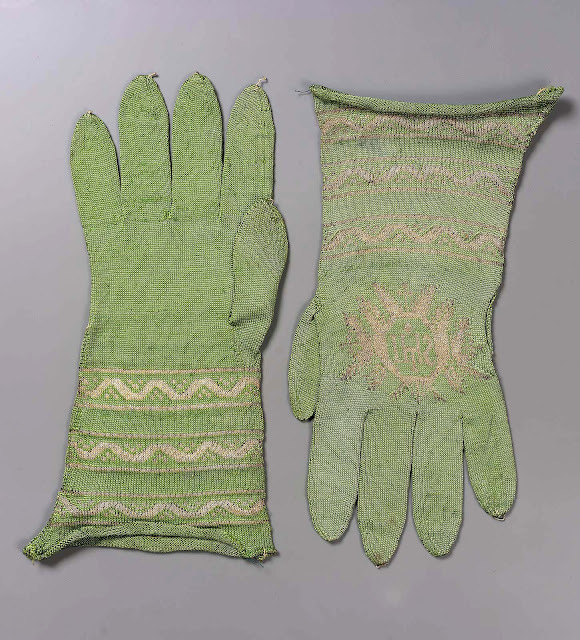 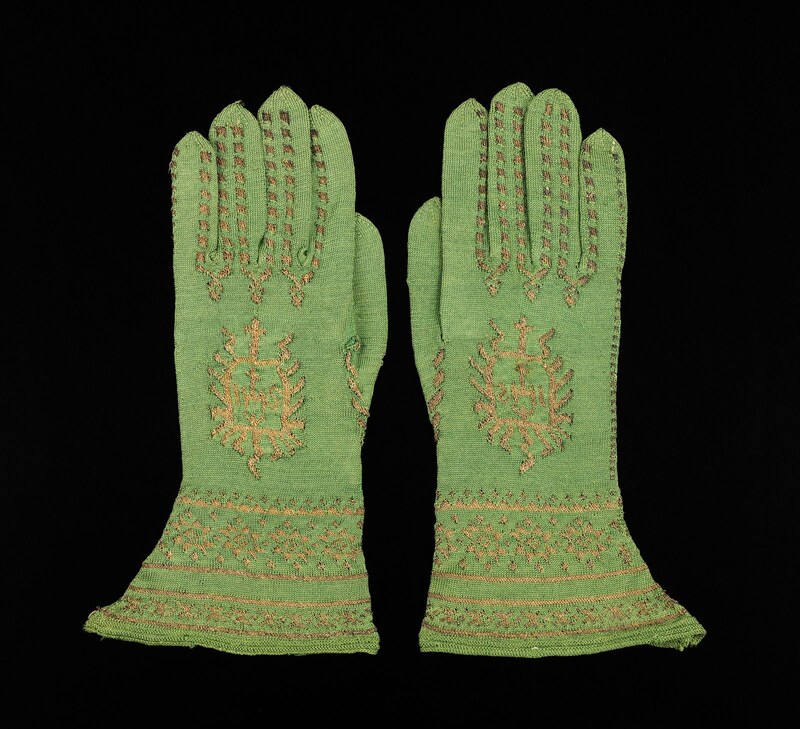 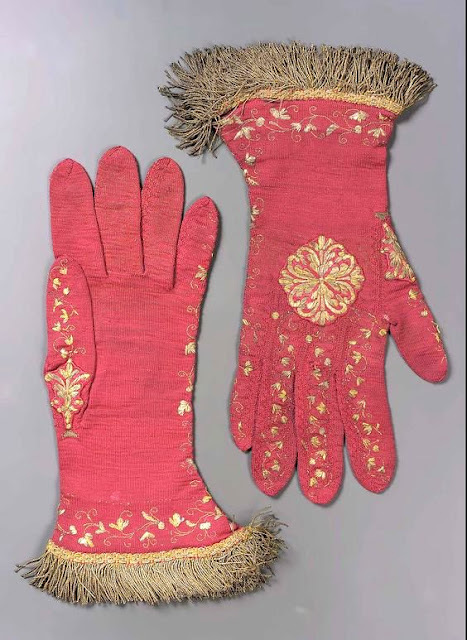 In the Middle Ages these gloves were either knitted or otherwise produced with the needle, or else they were made of woven material sewed together; the former way seems to have been the more usual. 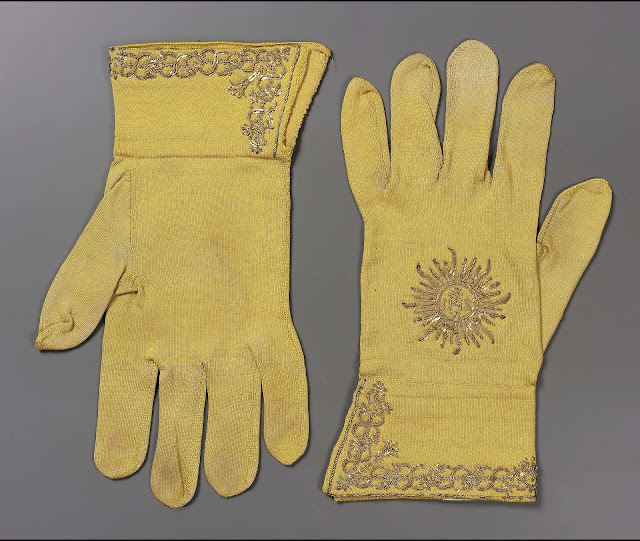 In the later Middle Ages it became customary to enlarge the lower end, giving it the appearance of a cuff or gauntlet, and even to form the cuff with a long joint which hung downwards and was decorated with a tassel or little bell. 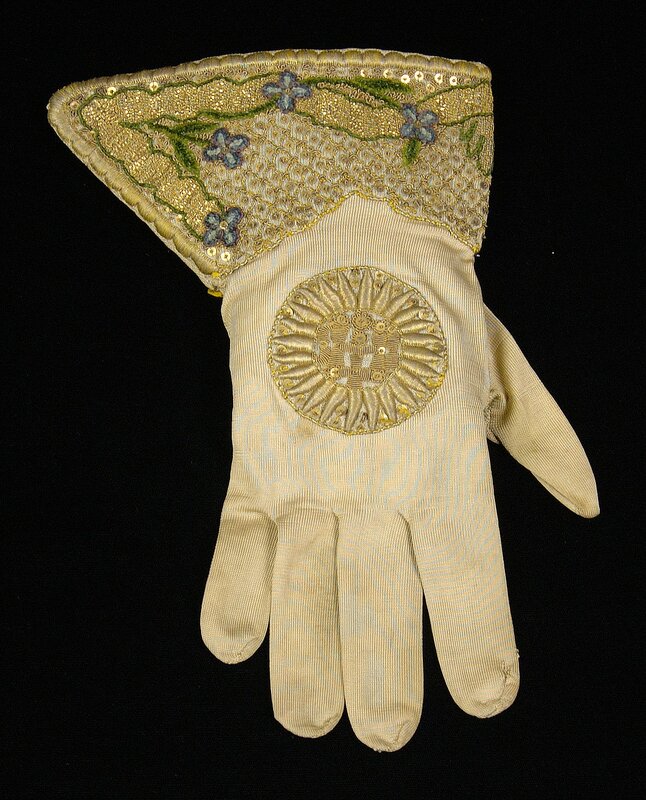 The back of the glove was always ornamented, sometimes with an embroidered medallion or some other form of embroidery, sometimes with a metal disk having on it a representation of the Lamb of God, a cross, the Right Hand of God, saints, etc., the disk being sewn on to the glove, or, at times, the ornamentation was of pearls and precious stones. The gloves were generally made of silk thread or woven fabric, rarely of woollen thread, sometimes of linen woven material. 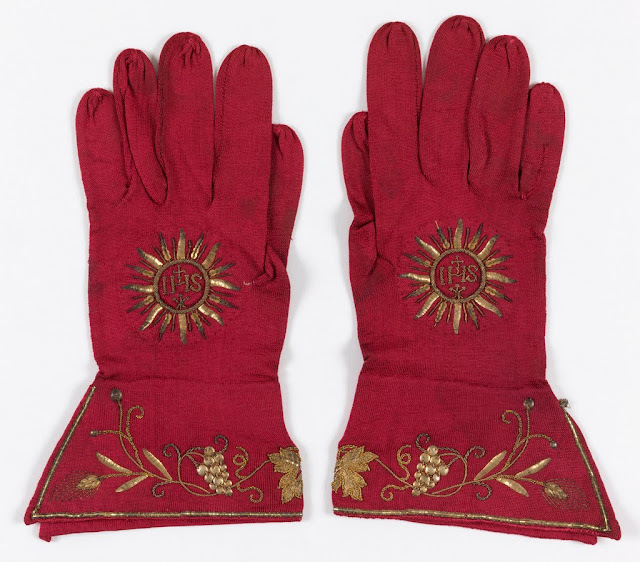 Up to the end of the Middle Ages the usual colour was white, although the gloves at New College, Oxford, are red; apparently it was not until the sixteenth century that the ordinances as to liturgical colours were applied to episcopal gloves. Even in the Middle Ages the occasions on which the gloves were worn were not many, but their use was not so limited as today, for in the earlier period they were occasionally worn at the pontifical Mass after Communion, at solemn offices, and during processions. Episcopal gloves are symbolical of purity from sin, the performance of good works, and carefulness of procedure. 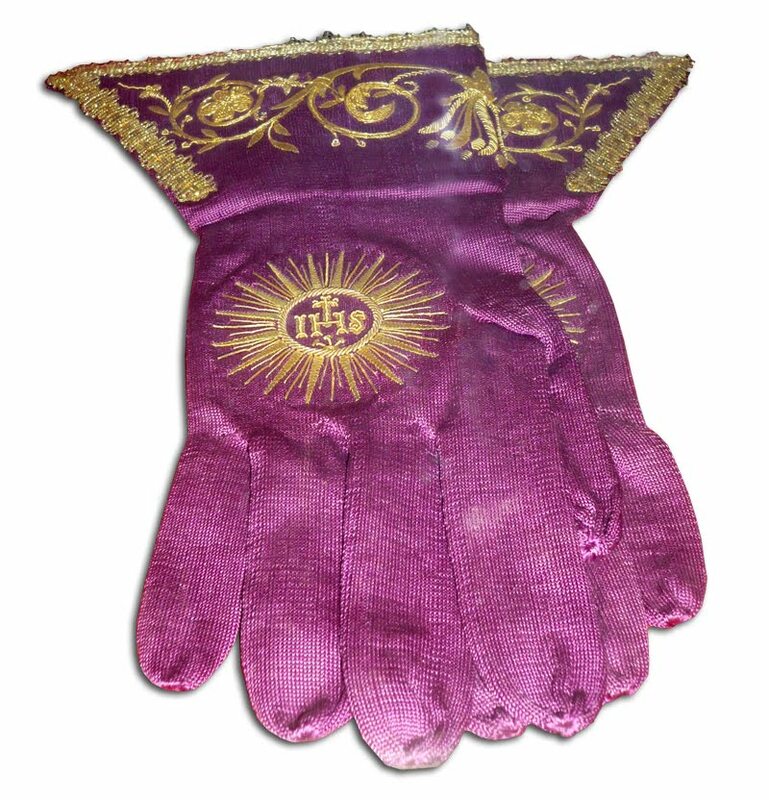 The Glove of St. Adalbert, ca. 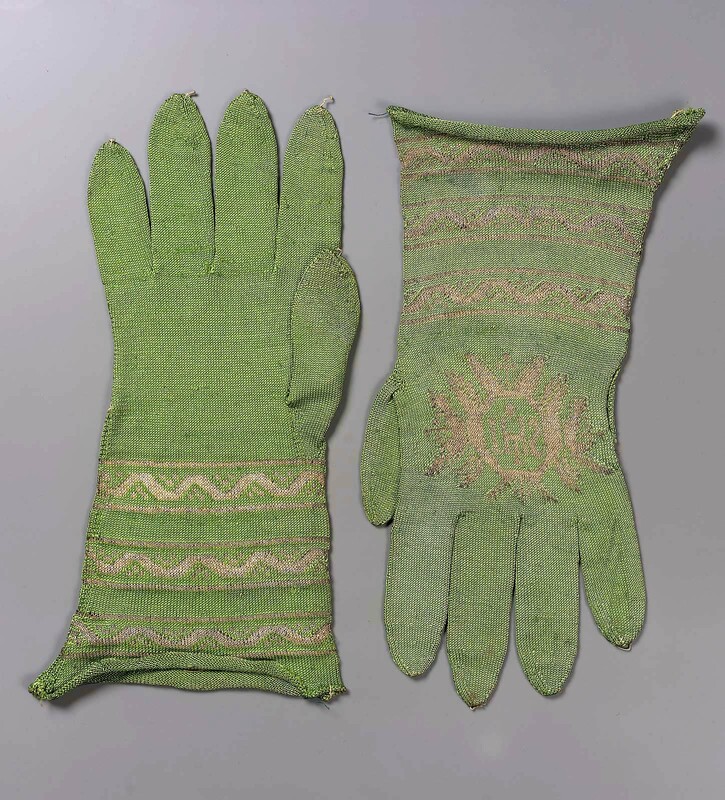 12th-14th century. 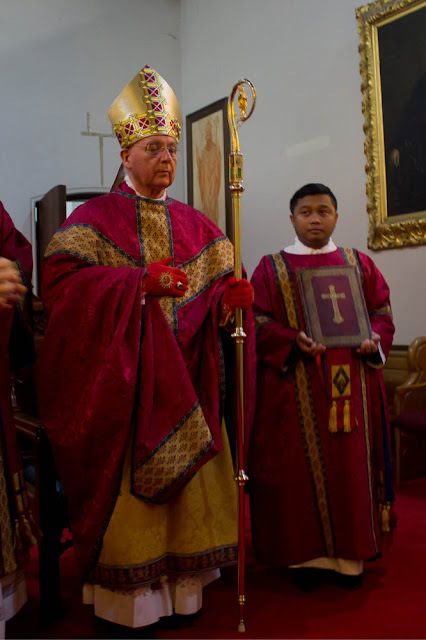 As with pontifical sandals, I would once again make a plea to usus antiquior communities to have these items at the ready for any solemn pontifical Masses your community might be privileged to have celebrated.